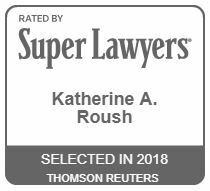 Katie’s practice focuses on complex civil litigation with an emphasis on secondary mortgage market disputes and trade secret and unfair competition litigation. She has also handled a variety of other legal issues such as contract disputes and employment matters. Together with co-counsel, Katie sought and obtained injunctive relief against threatened unfair competition and trade secret theft in state and federal courts across the country. She also co-authored numerous successful dispositive motions, including most recently a motion for summary judgment on statute of limitations grounds and a motion to dismiss a COCCA claim. Prior to joining FGMC in 2015, Katie was an associate at a boutique litigation firm in Denver, CO. In law school, Katie interned for Justice Nancy Rice at the Colorado Supreme Court and Judge Larry J. Naves in the Second Judicial District of Colorado.